The Amazon story is fascinating.. Unlike almost every other big publicly traded company, Amazon focuses on the top line – sales – rather than profits. It happened again in the latest quarter with a warning of a possible loss this week. At the same time, Amazon continues to slash costs and gobble up market share. Earnings season is all about the bottom line, except if you’re Amazon. The retail and entertainment giant reported blow-out sales, but tiny profits. First quarter revenues were $19.74 billion – up 23 percent on the year before. Earnings were a tiny percentage of overall sales and fell 19 percent to $146 million. Amazon executives emphasize growth and investment in future projects. “We are pleased with the overall fundamentals,” Tom Szkutak, Amazon’s chief financial officer told reporters. 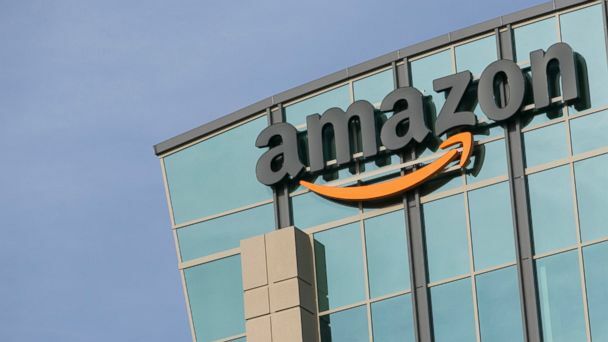 “A lot of areas contributed to growth.” Apart from its huge retail business, Amazon is looking to its cloud computing division, Kindle devices and streaming entertainment to boost future revenues. Amazon was stung by the rising cost of shipping. The Wall Street Journal reports that Amazon has started is its own delivery operation and could one day compete against FedEx and UPS. Test runs are said to have been made with trucks doing drop-offs in several cities, including San Francisco and New York. “Delivering its own packages will give Amazon, stung by Christmas shipping delays, more control over the shopping experience,” says the Journal. ← New SAT test: Will it make a difference?